Dr. Samadani is an associate professor Of neurosurgery at the University of Minnesota, a Neurosurgeon at the Minneapolis VA Medical Center and the rockswold kaplan endowed chair for traumatic brain injury research at hennepin county medical center. Dr. samadani did her undergraduate work at the university of Wisconsin, graduate school and Medical school at the university of Illinois and her residency at hospital university of pennsylvania. she is board certified by the american board of neurological surgeons. Her work with traumatic brain injuries is known worldwide. Garrick Jones, from Little Rock, Arkansas, is an NFL and CFL Veteran, having played for the Houston Texans in addition to being in several NFL camps including: Kansas City, Atlanta and Jacksonville. He played college football at Arkansas State University and started 32 of 33 games. He is the founder and commisioner of the SDFL (States Developmental Football League) and has dedicated his life to assisting young athletes develop on and off the playing field. Ben played his college football at the University of Minnesota, leaving in 1992 as their sack leader and 4 year captain. He was on the all big 10 conference team for 3 years. 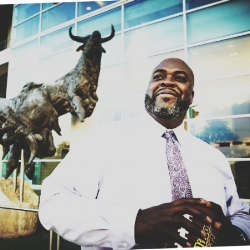 He began his professional career in the CFL, transitioned through the European League and eventually played for the Minnesota Vikings, Dallas Cowboys, Baltimore Ravens and Philadelphia Eagles. He developed a line of nutraceuticals and has worked as a personal trainer and bodybuilder. 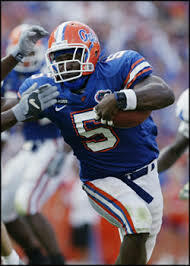 "Quezie" played wde reciever for the University of Florida from 1995-1997, winning a National championship in 1996. Jaquez was a 2nd round draft pick of the tampa bay bucs, and played for tB from1998-2001, when he was traded to washington. he retired as a tampa bay buccaneer after playing for tampa bay, washington and detroit. Jaquez is the offensive coordinator for godby high school in tallahassee, FL and is an independant contractor for XOS digital, providing video and content licensing solutions. 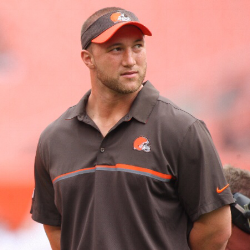 Coach Mroz is a Sports Scientist for the Cleveland Browns as well as a Corporate Mental Skills Coach for Jamey Mroz Peak Peformance, LLC. He has worked with the Cincinnati Bengals as an Assistant Strength and Conditioning Coach in addition to working with Vanderbilt University as a Sports Performance coach. He holds a Bachelors and Masters Degrees in Kinesiology with an emphasis on Sport Psychology. Davis Drewiske is a native of Hudson, WI and played hockey (defense) for the Hudson Raiders, University of Wisconsin Badgers and the LA Kings, Philadelphia Flyers and Montreal Canadiens. He is one of very few players to have won a State Championship in high school (Raiders), National Championship in college (Badgers) and a Stanley Cup in Professional Hockey (LA Kings). He continues to coach today at the High School level, working with his Alma Mater Hudson High School. 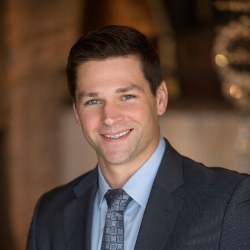 Davis is a Financial Advisor with RBC Wealth Management and has a degree from UW in Consumer Affairs/Science.